The vibrant colour of this daisy makes the whole picture stunning. It's time to proceed my fondant flowers in next few weeks. Being too busy with work, time to relax and do what you really like. Preheat oven to 350 degrees F. Line 18 muffin tins with paper cups. In a stand mixer, beat the egg and sugar until incorporated.Set aside. Combine the flour, baking soda and salt; mix well set aside. In a mixing bowl, beat together the vegetable oil – I did this with a hand-held electric mixer, but a whisk would probably be fine. The mixture was kind of thick and grainy and didn’t hold a lot of air. Mix the buttermilk and vanilla together in a cup, then add the flour mixture and the buttermilk mixture to the oil mixture alternately, stirring rather than beating, until flour is incorporated. Divide the batter evenly among the muffins tins. Bake in preheated oven on center for 28-30 minutes. Cool at room temperature for about half an hour and then chill until very cold. 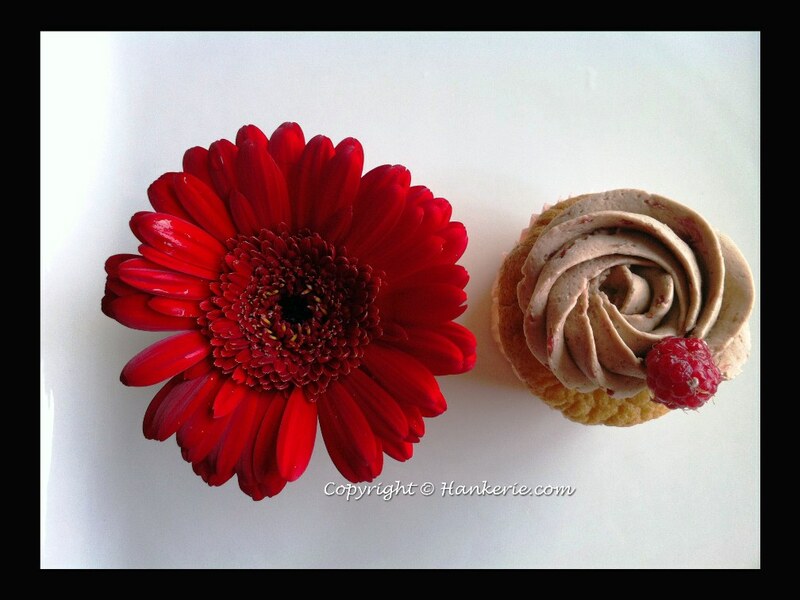 Apply a layer of Raspberries chocolate cream on top. @Rachel: Thanks for dropping by. You should try this as it's butterless. They are much fluffier indeed. 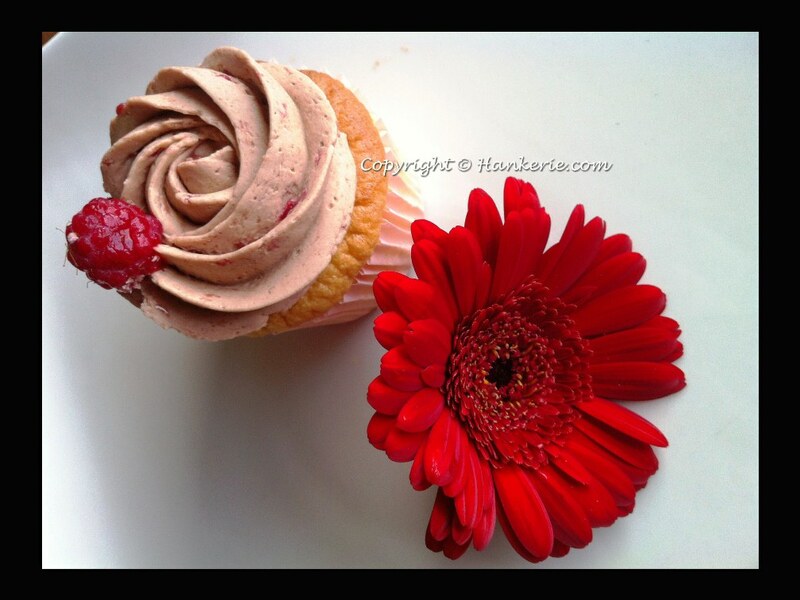 Beautiful looking cupcake and the raspberry chocolate cream sounds delicious. Where is the recipe for the raspberry chocolate cream? I'm not sure were to find it on your blog.